Apple Music has literally aimed for the sky with its latest partnership. The service has inked a deal with American Airlines – and starting Friday (February 1), Apple Music subscribers can access songs, playlists and music videos on any domestic American Airlines flight equipped with Viasat satellite Wi-Fi with no Wi-Fi purchase required. Apple Music customers on Viasat-equipped aircraft can connect to Wi-Fi at no cost and log in with their Apple Music subscription. Furthermore, anyone who doesn’t already have an Apple Music subscription can get Apple Music, sign up onboard and receive free access for three months. “For most travelers, having music to listen to on the plane is just as important as anything they pack in their suitcases,” said Oliver Schusser, Vice President of Apple Music. 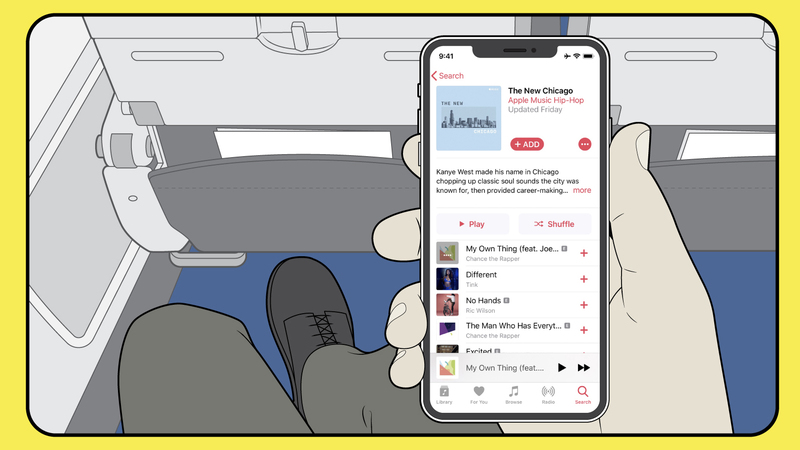 “With the addition of Apple Music on American flights, we are excited that customers can now enjoy their music in even more places. “Our guests want to make the most of their time when flying us. That’s why we’re investing in faster Wi-Fi, a variety of entertainment options, and why we’re so excited to introduce Apple Music to more of our customers. Janelle Anderson, vice president of Global Marketing at American said: “Our guests want to make the most of their time when flying us. “That’s why we’re investing in faster Wi-Fi, a variety of entertainment options, and why we’re so excited to introduce Apple Music to more of our customers.